Are you looking to renovate your home or perhaps add an extension? Then get in touch with Acorn Building Contracts. Our builders in Portsmouth have a wealth of experience in both domestic and commercial building work. Our team has a diverse skill set which enable us to undertake any project, no matter how big or small. 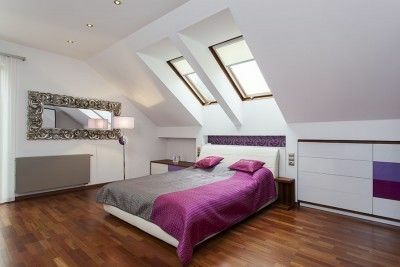 All of our work is bespoke so that you are left with a property to be proud of. Acorn Building Contracts has a versatile workforce that is highly qualified to carry out a number of building works and home renovations. Our builders Portsmouth service can tailor any sized project to your tastes and budget, and we guarantee you won’t be disappointed in the results. Whether you want a new kitchen fitted or want an entirely new extension, our tradesmen offer a complete service including a consultation and FREE survey for your project. From design through to installation you only deal directly with our builders in Portsmouth, so you are fully informed on the process every step of the way. An extension is a great way to add space and value to your home. The Portsmouth builders working on your extension project will provide you with a selection of materials to choose from when creating your bespoke design. All windows and doors will be matched to your current property to create a seamless home extension. Kitchen refurbishment or brand new kitchen fitting is a common project that our builders in Portsmouth have a wealth of experience in. What makes our kitchen builders Portsmouth service unique is that all of our kitchens are made bespoke. At Acorn Building Contracts, we can make all of your kitchen units from scratch, as well as supply and fit any worktops, appliances and sinks to your kitchen. If you are not sure what kind options are right for you considering your budget and schedule, one of our builders Portsmouth team will be happy to discuss your options with you. In the meantime, why not take a look at our gallery for inspiration. Our diverse skills-set and bespoke design service are what makes us the best builders Portsmouth has to offer. We are dedicated to providing a cost-effective and efficient service to improve your home. We don’t just stop at domestic properties, either. The Portsmouth Builders team at Acorn Building Contracts have the capabilities to do works for commercial buildings such as office refurbishment. Our builders in Portsmouth have over 25 years’ experience in the construction industry so you can have confidence in your project from start to finish. Each and every tradesman has the necessary insurance and health and safety training to ensure your project is completed without a hitch, and our Portsmouth builders service is recognised and trusted by Checkatrade. The aim at Acorn Building Contracts is to give professional and honest advice when planning your building works. All of our customers are extremely happy with the work done by our Portsmouth Builders, who are even qualified in other areas such as tiling and decorating, so they can add the finishing touches to your new build. To see what our customers have to say about us, read our testimonials. 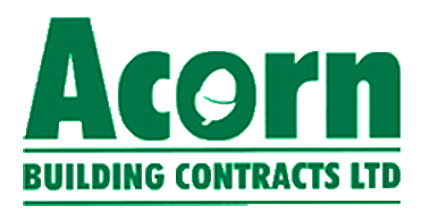 For the best builders Portsmouth has seen, contact Acorn Building Contracts. Call us on 02380 243336 or email us at acornbuilding@gmail.com.